Over the next couple weeks I’ll be sharing several printable Valentine card ideas. It started out last year with these stamp Valentines and now everywhere I turn there’s a new fun idea for Valentine cards. The dollar store and Target are a creative jackpot for Valentine card ideas. 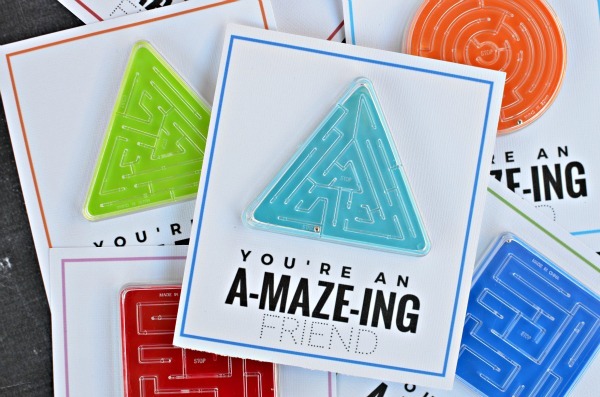 I came across these mazes while looking for bouncy balls for another Valentine printable. 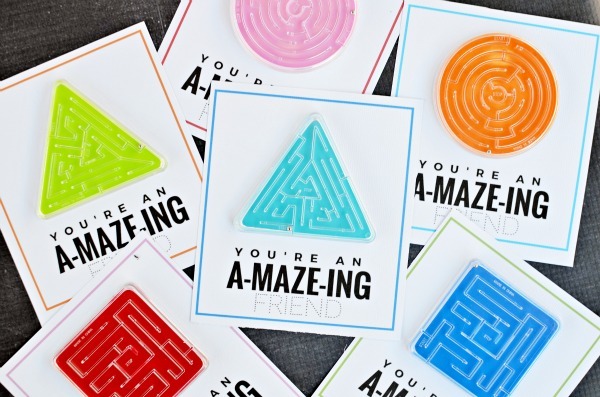 These mazes are a great alternative to candy for those that prefer non-treat Valentines. I picked mine up in the party favor aisle at Target for a few bucks. I liked bright geometric shapes, and they pair nicely with this simple printable Valentine. 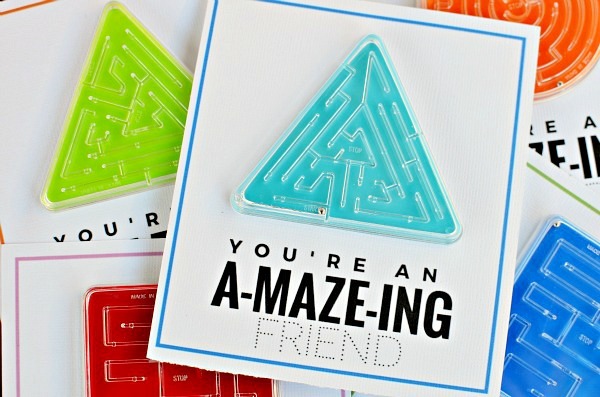 All you need is to download the printable, print, cut, and place the mazes onto the card with a little double stick tape. 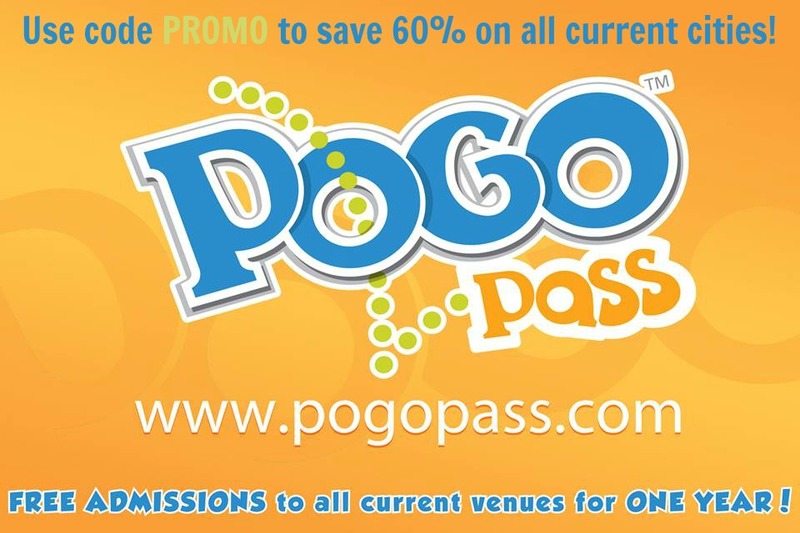 Each set prints 4 per page. 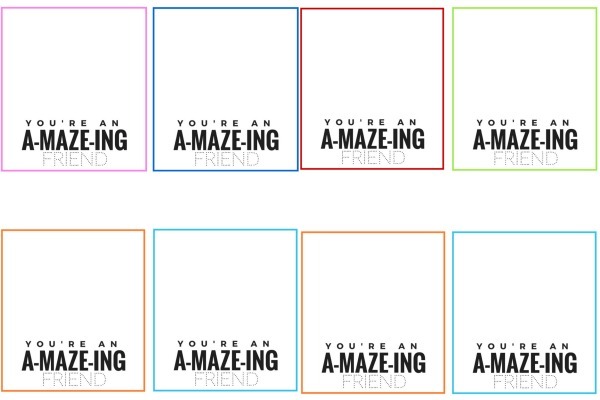 Make sure to use a heavier cardstock to support the maze. 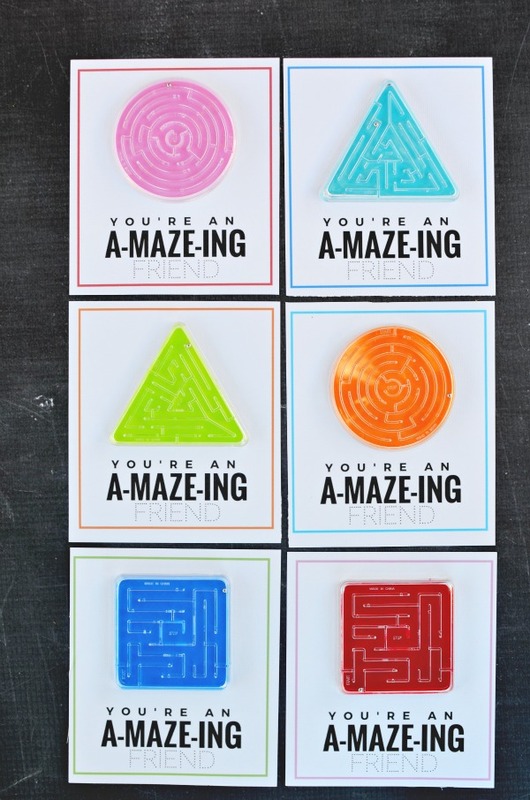 Alternatively you could add a maze to these cards and print them up at no cost! Looking for more printable Valentine ideas? Tryout these posts, then make sure to come check back, as I’m sharing 5 more printable Valentines this year.